ROAD TOWN, Tortola, VI- Information reaching our newsroom is that there was a shooting incident in Paraquita Bay early this morning, September 20, 2016 and at least one person was injured. According to reports, the incident took place sometime before 3: 00 A.M. in the vicinity of H. Lavity Stoutt Community College campus. Police have since confirmed the incident. 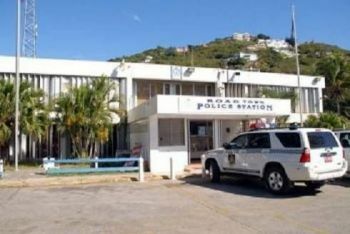 “Officers of the Criminal Investigation Department are conducting investigations into a shooting incident early this morning where a driver received injuries while on the Blackburne Highway in the area of Paraquita Bay,” a press release from the Royal Virgin Islands Police Force today, September 20, 2016 stated. Police said the driver was treated at Peebles Hospital and has since been released. “Police are presently ascertaining the details surrounding the incident. We will share this information when it becomes available,” the press release also stated. is a ticking time-bomb under this NDP Gov't. @ one word! two words for u lol "ya mama"
Tortola can't snow Bo. But if it does, get your Tim's, UGGS and Parkas ready. @Lurrr, seems like SOB is the big Don's on Tortola. Seems like they run things in a major way. Status and swag going on big time. @Lurrr, so you calling yourself a liar? Lurrr means to lie, or to be a liar. Two news sites saying it happened late evening now here saying it happened early morning... Which one it is buddy?? all ayo like assume,look like ayo was on the sceneand ayo who wishing bad.go s***ayo mother!!!!!!!! Yeah Keeda, just shhhhhhh already. Fake like your ghetto name. right to call him out. That is what you get for cursing people mother's. keep people mother's out the drama.